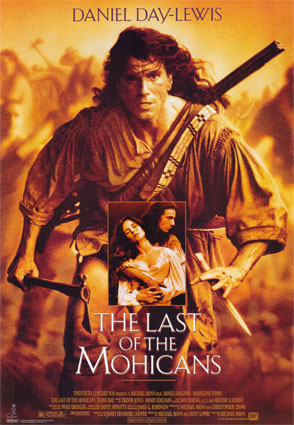 Challenging and stirring entertainment in a decade that seemed to be out of touch with adventure classics, The Last of the Mohicans was imbued with a newfound sensibility and daring by the gifted Michael Mann. 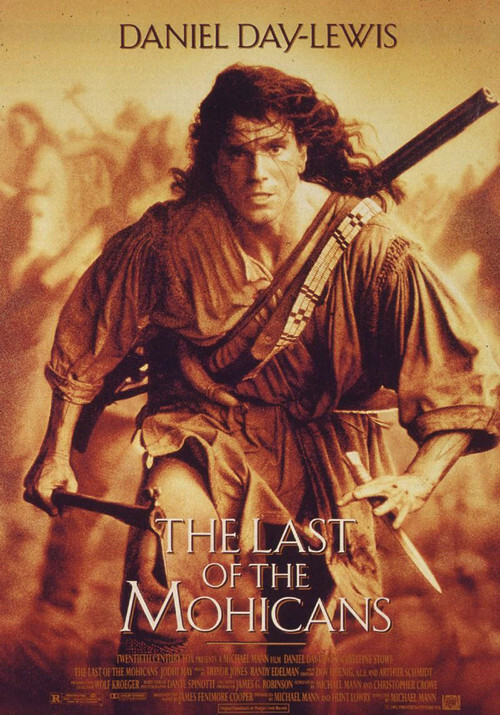 An epic tale remarkably condensed into just under two hours of rock-solid storytelling, Mohicans operates on its own agenda and breaks a few conventions of the genre, but provides ample rewards. 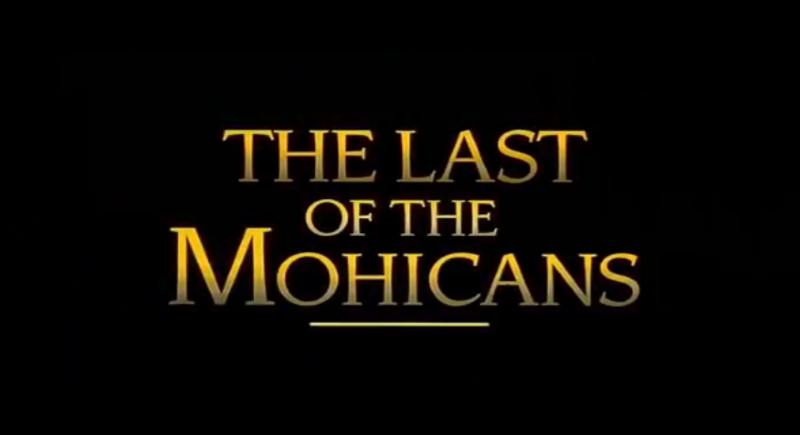 There have been several versions of The Last of the Mohicans, a silent version, a 1936 version with Randolph Scott and a telemovie from the 1970s with Steve Forrest. Daniel Day-Lewis was a big box-office star at the time – having won the best actor Oscar only two years earlier for “My left Foot”. 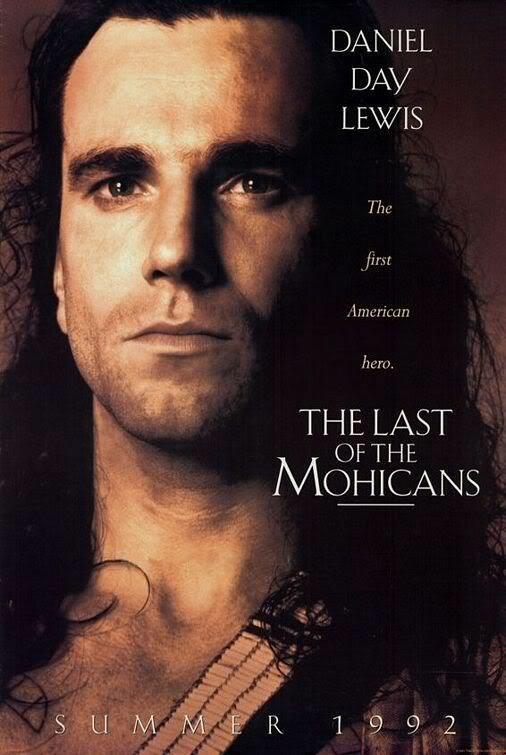 Daniel Day-Lewis is well-known for going to extremes in preparation for his roles. For this film he lived in the wilderness where his character might have lived, hunting and fishing and living off the land for several months prior to shooting. 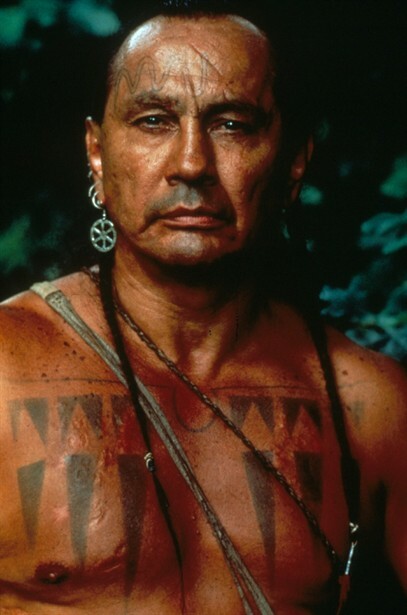 Hawkeye’s real name in the Last of the Mohican’s novel is Natty Bumppo, but was changed to Nathaniel Poe for the film to avoid titters from the audience. Jodhi May has said that much of her role disappeared on the cutting room floor. 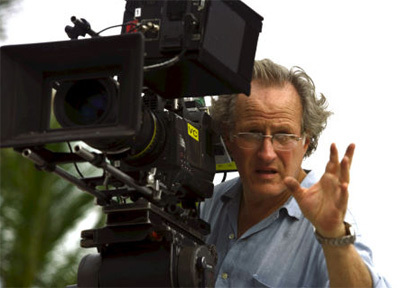 The film was originally scheduled for a Summer 1992 release, as the teaser posters said, but when Michael Mann’s first version clocked in at three hours, he was told by Fox to cut the film down and the release was postponed to September. Mann was never happy with the resulting two hour version, feeling he had not had enough time to properly trim it, and so Fox allowed him to re-edit it entirely for the 1999 DVD release. Although only a few minutes longer, the new version features minor changes throughout the film. It is Mann’s preferred version and the only one available on DVD in the US. The actual historical attack by the Hurons after the surrender of Ft. William Henry was directed at the colonial militia and its Indian allies – not the British. Munro and the British regulars were at the head of the column under the protection of French soldiers and did not know that the column had been attacked until they arrived at Ft. Edward. The British then used the attack to stir up the colonials to join in the fight against the French. In all versions of the movie except this one, Munro survives and is saved by Hawkeye. Munroe survived in real life as well. By most accounts, there were on average at least 20 takes for each set-up. Such lengthy shootings (and the ensuing costs) would account for 20th Century Fox sending a Rep to do nothing except stand behind Mann and say, “That’s enough Michael, move on”. Alasdair Fraser, renowned Scottish fiddler, is the fiddler on the soundtrack though he is not credited. Hawkeye’s rifle is a beautiful example of the classic Pennsylvania long rifle – which is all too frequently misnamed the “Kentucky” rifle. Considered by many to be among the most beautiful firearms ever crafted, Pennsylvania long rifles often feature a small lock, long, slim, graceful lines, and beautifully carved “tiger” maple stocks. hi Jc ! this blog is stunning and very fascinating, for people who loves westerns. Very beautiful graphic line, rare and beautiful Pics ! I have much to do and I am WAY WaaaaaY behind. Glad a few folks seem to enjoy it. yes we enjoyed this movie too, thanks for your post! It is a great movie isn’t Frizztext!? – eminently rewatchable. But this Page REALLY needs some editing and updating. I’ve gotta get around to that. My favourite movie of all time. Thanks for this. It’s a Classic – can watch it over and over.